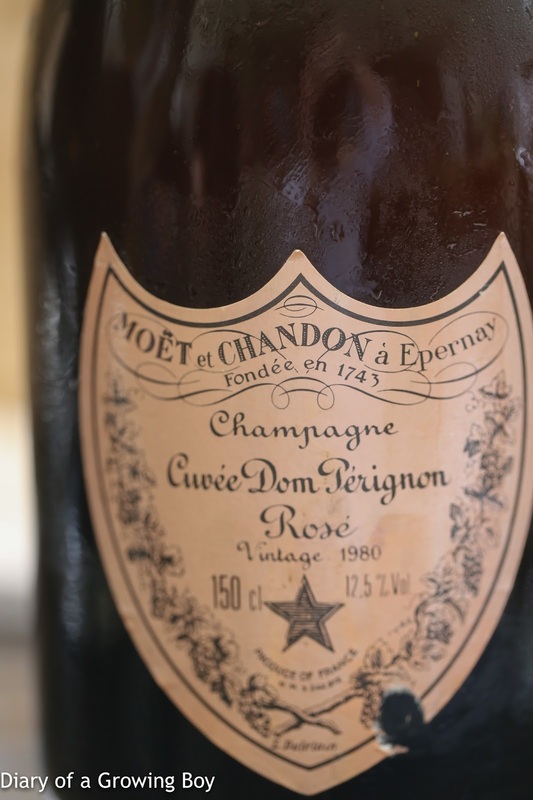 Birthday party at Seasons by Olivier E.
1980 Moët et Chandon Cuvée Dom Pérignon Rosé, en magnum - really ripe and sweet nose, with red fruits like red currants. Just beautiful. 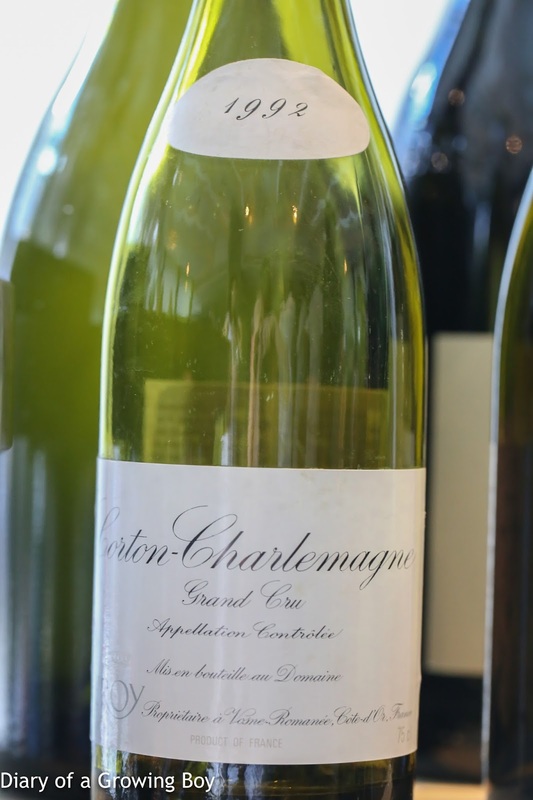 1992 Leroy Corton-Charlemagne - beautiful and fragrant, with a big, toasty nose. Also pretty sweet and ripe. 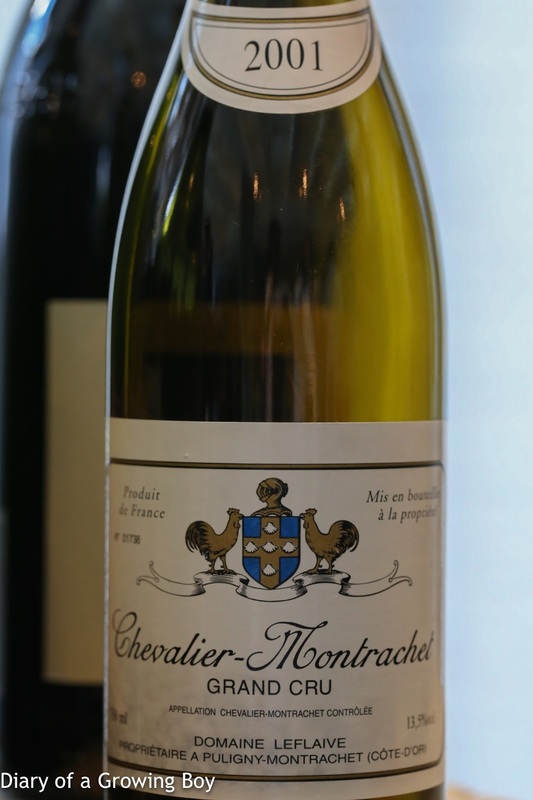 2001 Domaine Leflaive Chevalier-Montrachet - sweet and ripe, with less toasty notes. 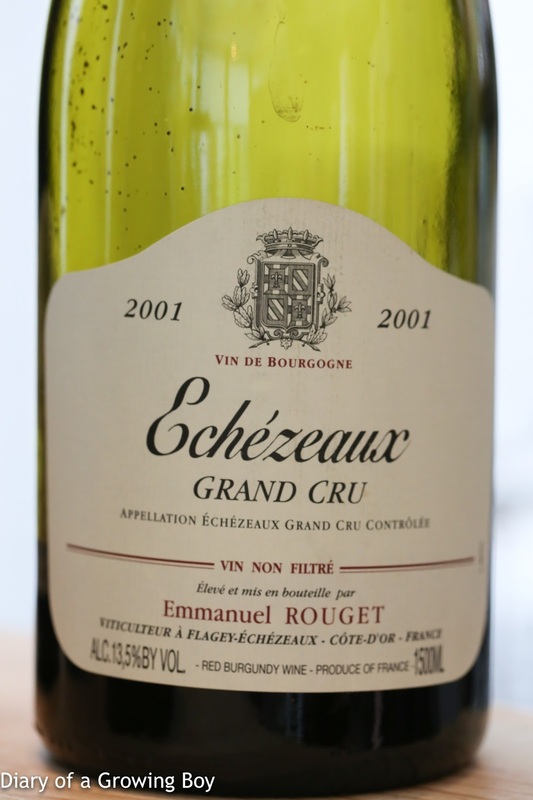 2001 Rouget Echezeaux, en magnum - leather notes along with some fruit, not quite open. 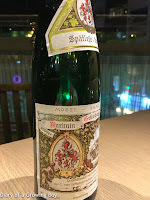 2003 Prieuré-Roch Nuits-Saint-Georges 1er Cru Le Clos des Corvées, en magnum - soooo ripe, so sweet, with flamboyant fruit and woody notes. Just beautiful. 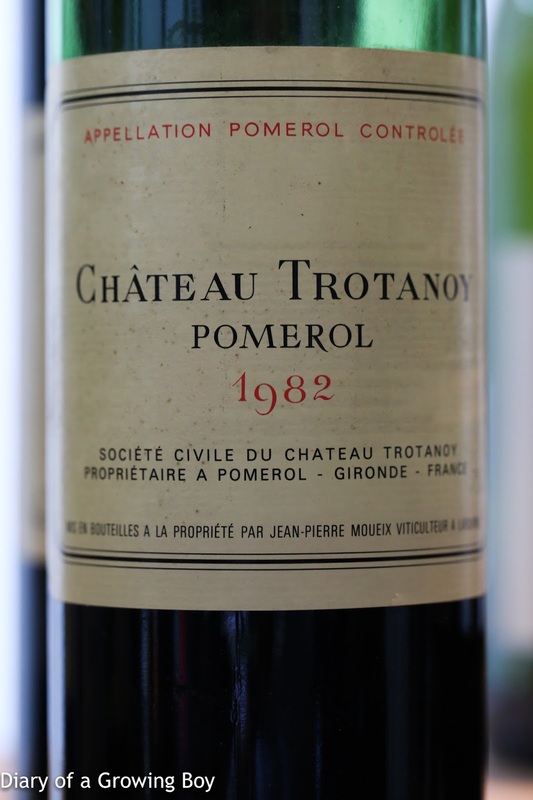 1982 Trotanoy - smoky, a bit grassy, and a little leather. Drinking beautifully. 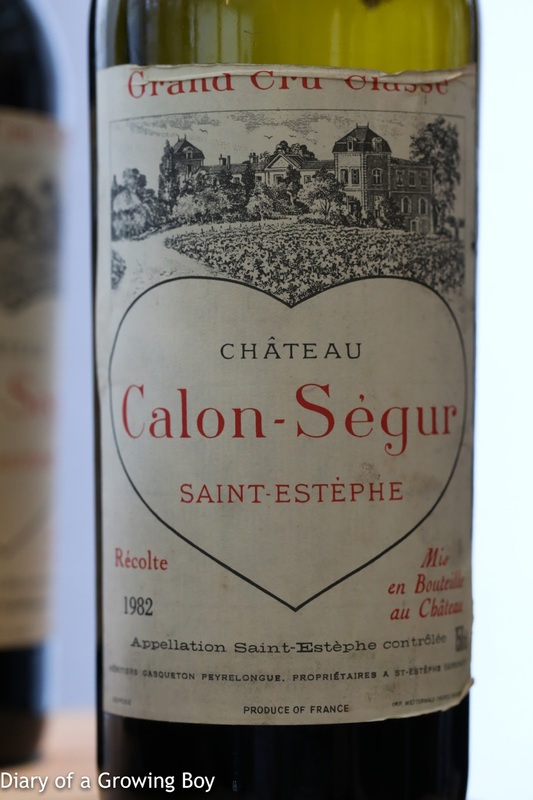 1982 Calon-Ségur, en magnum - more tea and soy sauce notes, earthy, smoky, and cedar. 1966 Vieux-Château-Certan, en magnum - much sweeter and riper than expected, with a little coconut. 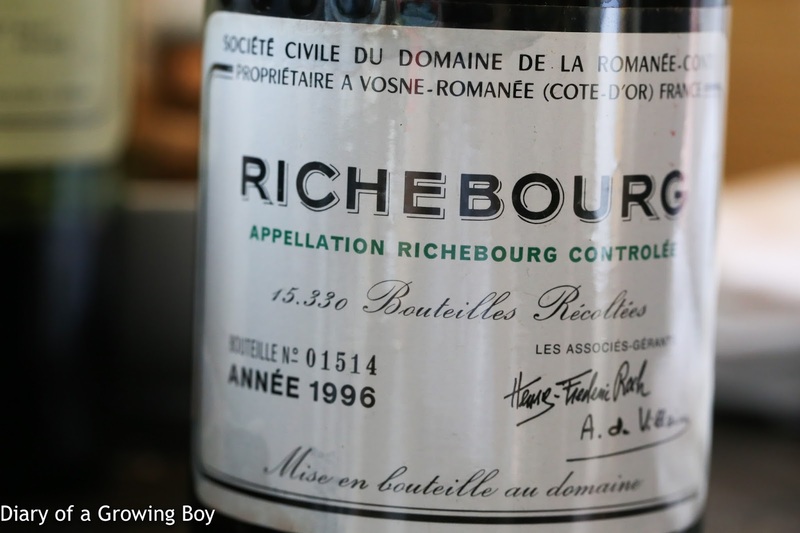 1996 DRC Richebourg - floral and beautiful. Wow! 2010 Liger-Belair Echezeaux - toasty and nice, but needs time to mature. 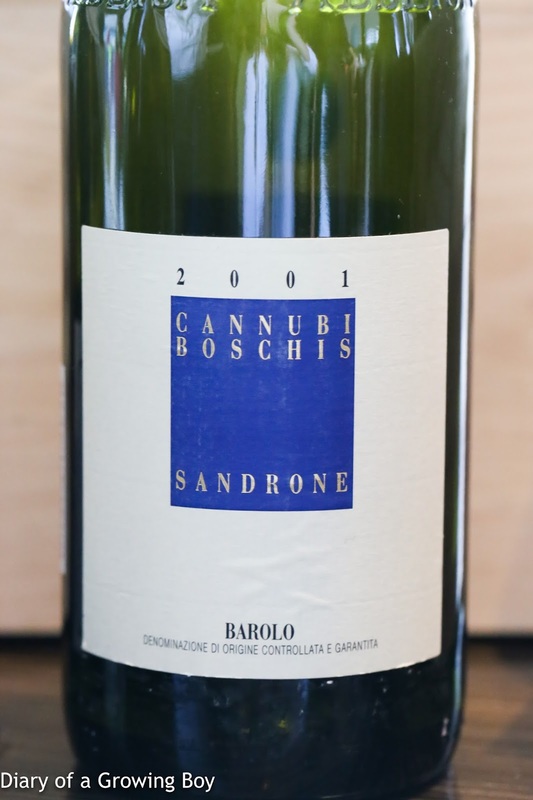 2001 Sandrone Barolo Cannubi Boschis, from magnum - decanted. 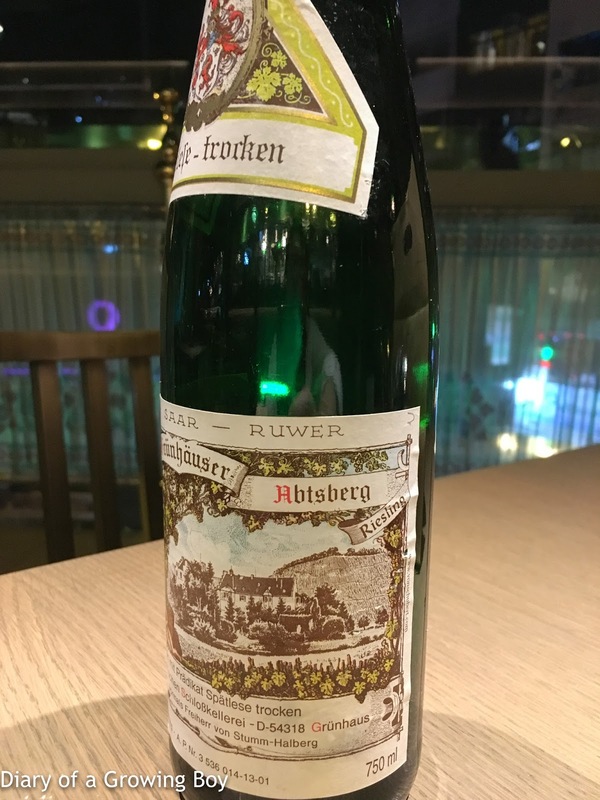 A little smoky, sweet, cool fruit, sweet spices, minty. Still really concentrated. Dinner at My Tai Tai. 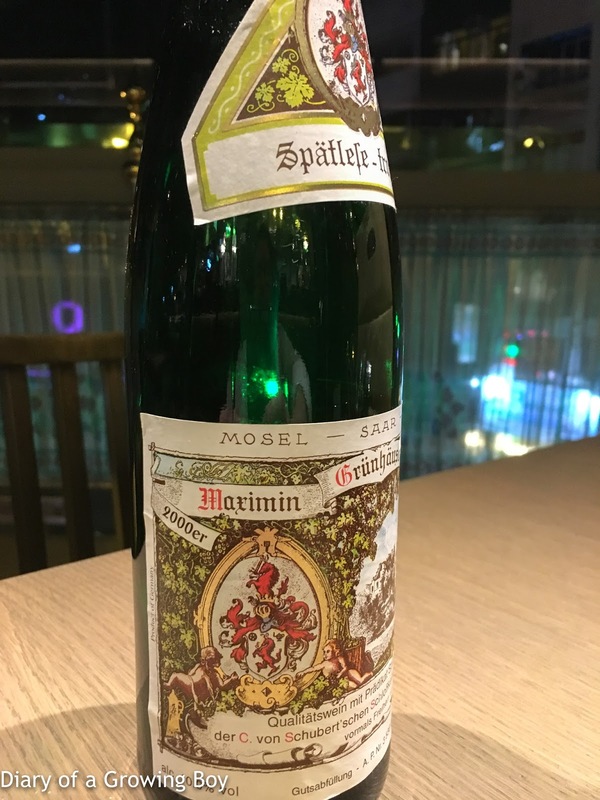 2000 von Schubert Maximin Grünhäuser Abstberg Riesling Spätlese-trocken - good acidity here, dry without being too sharp. Classic petrol nose. 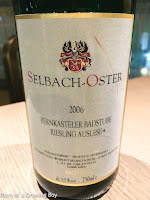 2006 Selbach-Oster Bernkasteler Badstube Riesling Auslese* - grassy, perhaps a little corked. A little flinty nose with orange and apricot notes. 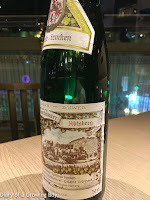 Very sweet on the palate and very viscous. 1966 Vieux-Château-Certan, en magnum - 5 hours later, the nose had kinda faded but it was still pleasant to drink. 2001 Sandrone Barolo Cannubi Boschis, from magnum - now triple-decanted after 5 hours. Still got lots of concentration here, and pretty nice.